Focus on sexism sees wage divide fall in U.K., U.S.
LONDON (Thomson Reuters Foundation) — High-flying women are catching up with men when it comes to executive pay but are still woefully under-represented at the top of the working world, a pay comparison firm said on Monday. The gap between what executive men and women earn fell sharply in Britain and the United States after a global focus on sexism in the workplace forced new laws to address the gaping imbalance, said executive wage comparison website The Pay Index. The British pay gap almost halved, while the gender divide in U.S. salaries narrowed still further. "It's a remarkable figure, but we do think it's because a spotlight has been shone onto this issue," Kevin Matthews, a spokesman for the firm, told the Thomson Reuters Foundation. "No company is able to hide from that now," said Matthews. There has been growing debate worldwide over entrenched sexism in the workplace, with women questioning why they still earn less and progress slower than male colleagues. The scrutiny appears to have led to action, according to The Pay Index, which analysed data from more than 6,000 users in Britain and the United States who were earning US$100,000-plus. In Britain, the average gender pay gap dropped from 22 per cent in March to 12 per cent in September, it found after analyzing pay data submitted by users. In the United States, the gap sank from eight per cent to two per cent over the same period. The website is focused on executive pay and requires users to enter their own pay details in order to compare their salary with others in similar roles. Although it has users worldwide, most are based in Britain and the United States. It had no data from lower-paid workers. U.S. women in full-time work earn about 80 per cent of what men are paid on average, according to the U.S. Census Bureau. 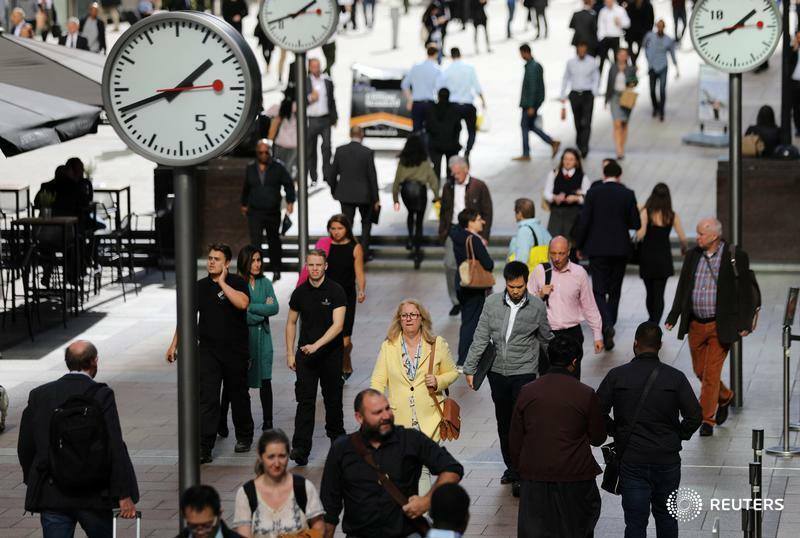 The average pay gap for full-time British workers dropped to a record low of 8.6 per cent in 2018, official data showed last week. In a bid to tackle discrimination, New York City has banned employers from asking job applicants about previous salaries, with other U.S. states and cities passing similar legislation. Campaigners say such questions trap women in lower pay. Since April, British firms employing 250 or more people must publish details of their average gender pay gap every year. Matthews said the United States appears to have a "head start" as its laws came into force earlier and that he expected British pay equality to improve further. He said women only make up about a quarter of the website's users, suggesting while conditions may be improving for those in boardrooms, others still struggle to reach senior posts. Moves to combat pay discrimination are welcome, but more action is needed to address the "staggering under-representation of women in executive roles," said Sarah Alter, president of the U.S. organisation Network of Executive Women. "We must have gender pay parity — but we need parity in workplace support, leadership development, mentorship and sponsorship, and career opportunity, too," she said.